Cricketer Wayne Parnell became a dad for the first time! 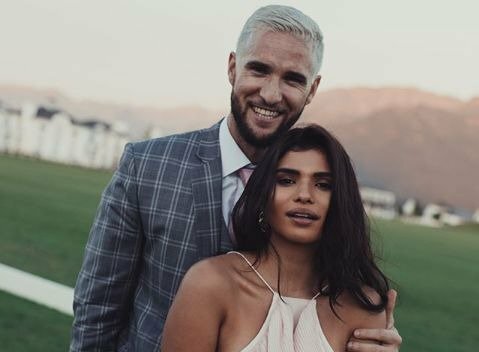 Wayne Parnell and his wife, fashion blogger Aisha Baker, are the proud new parents of a baby boy. The couple shared the exciting news on social media. "Mashallah my beautiful baby boy was born today ... we are both healthy and doing well! Thank you in advance for your prayers and well wishes. We are so in love #BabyParny," Aisha tweeted on Tuesday. Wayne replied to his wife's post with a sweet message. "You were incredible in the delivery room today. Nothing in the world can compare to the raw emotions I experienced today. So glad I didn’t faint. Alhamdulilah, little Parny is perfect." The couple is keeping their baby boy's name a secret for now. Wayne and Aisha tied-the-knot in May 2016, two years after mutual friend Zuraida Jardine played matchmaker. The TV personality set them up on a date in 2014 after Aisha commented on how handsome she thought Wayne was.